Summertime rituals are in full swing – heading up to the cottage, hosting a backyard barbecue or enjoying a campground cookout. These popular pastimes attract insects, especially with this season’s early hot weather. Whether they’re buzzing around the picnic table or creeping inside through an open screen door, it’s important to know how to prevent – or eliminate – an infestation. Bugs can put a damper on outdoor activities at a time when people want to make the most of the great outdoors. This season’s early hot temperatures have brought bugs out in full force, making prevention a priority, especially for people with allergies and reactions to bites. 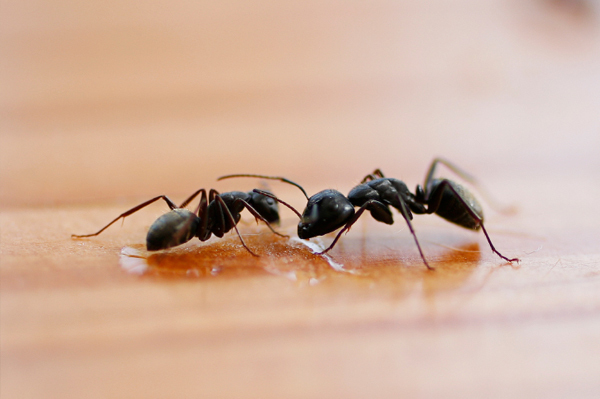 Generally, North Americans are most affected by ants, earwigs, wasps, mosquitoes, cockroaches and fleas in and around their homes. The bug seasonality index indicates that most bugs and insects are at their worst in the summer months, Nielsen MarketTrack data reports. Depending on the region, mosquitoes are generally most bothersome in June, ants typically peak by the end of July and wasps, hornets and earwigs are the biggest problem in August. Cockroaches are the exception – they’re a constant all year long. Plant flowers that are appealing to you, but not to bugs. In addition to eliminating standing water around your home, try planting flowers that many insects love to hate, such as chrysanthemums and lavender. Avoid lush plantings near outdoor eating areas. These can provide havens for a number of pests. With kids and visitors going in and out of screen doors all day long, insects are more likely to creep inside. Avoid leaving food exposed on countertops, keep food protected with re-sealable bags and containers, and clean up promptly after meals. Consider using insecticides that are made with plant-based ingredients. The killing power of the chrysanthemum flower, natural-based attractants and other ingredients that blend earth and science can be found in Raid EarthBlends products, for example. In extra-buggy areas, consider wearing long-sleeved shirts and pants for protection. Avoid wearing dark colors, too, as many insects such as mosquitoes and horseflies are attracted to darker fabrics like denim. For those with dark hair, put on a light-colored hat to banish bites. It may not be everyone’s favorite summer activity, but mowing the lawn can keep bugs in check. The longer the grass, the easier it is for mosquitoes and other soft-bodied insects to hide. Eliminate standing water around the home, too, as small pools of water in containers can become breeding grounds for bugs. Outdoor bug traps don’t have to stick out like a sore thumb. There are a number of decorative options that hang from backyard trees and attract and kill mosquitoes or yellowjackets.